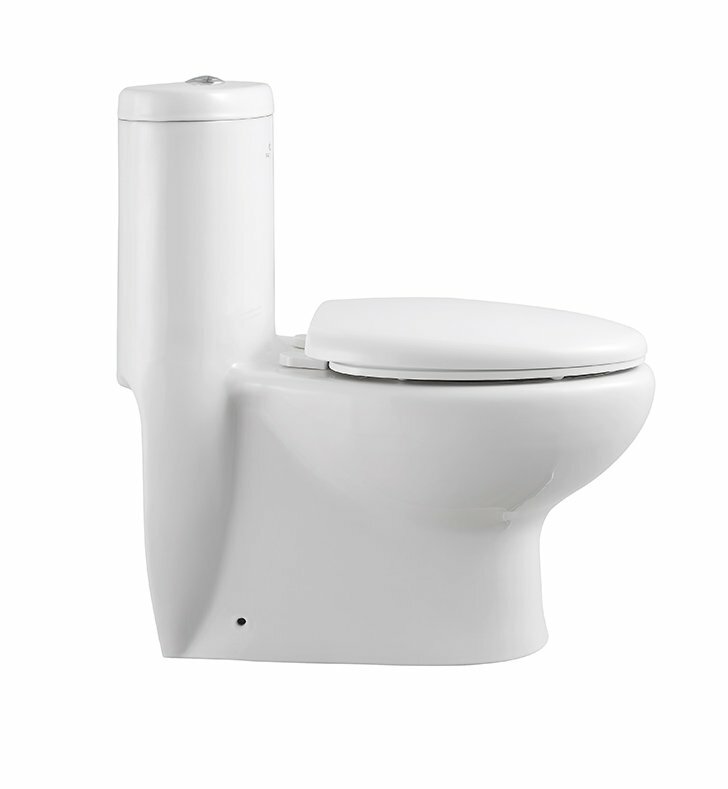 Highly efficient Eco-Friendly toilet that requires only 1.28 Gallons of water per flush. 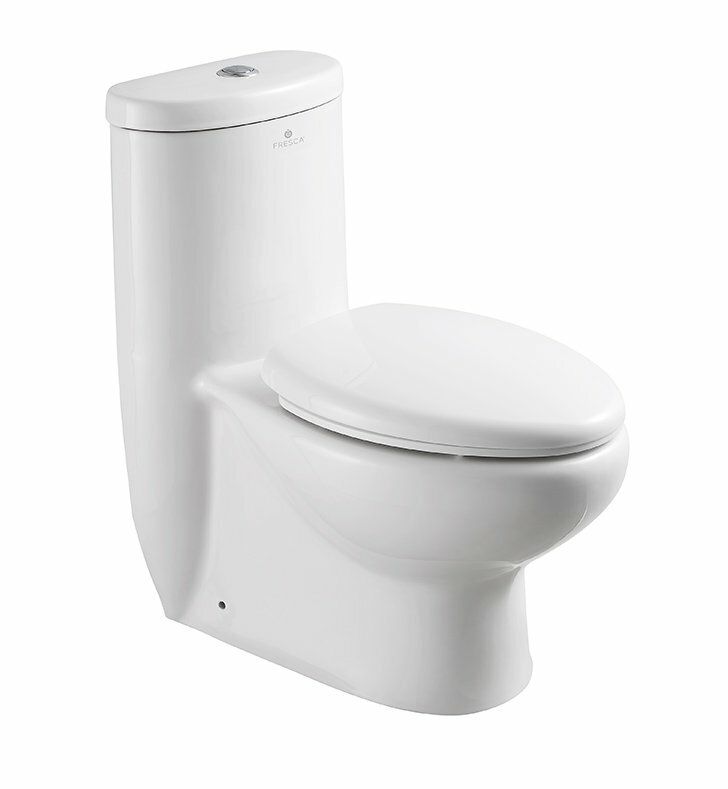 Toilet is WaterSense certified which uses 20% less water than the current standard of 1.6 gpf. Based on typical consumption it saves about 10,000 - 15,000 gallons of water per year. One piece toilet means that the bowl and the tank are made as one piece. 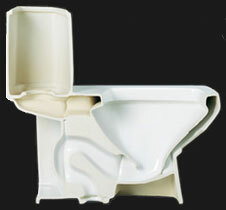 Your toilet not only looks much better but also feels much sturdier then the 2 piece counterparts. A sleek desing and a sturdy construction is a sure winner. 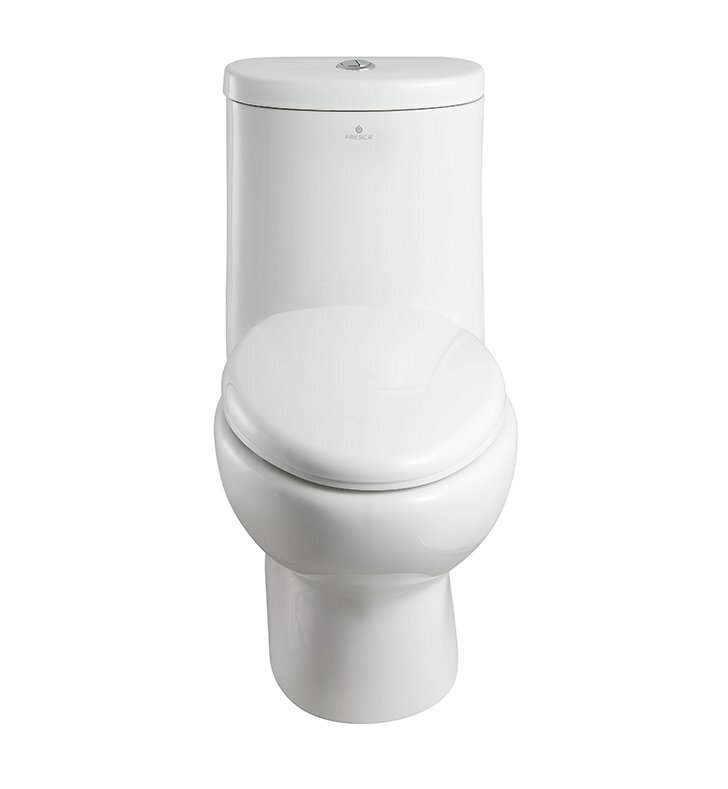 Concealed/Skirted toilets hide the trapway behind a smooth ceramic surface. 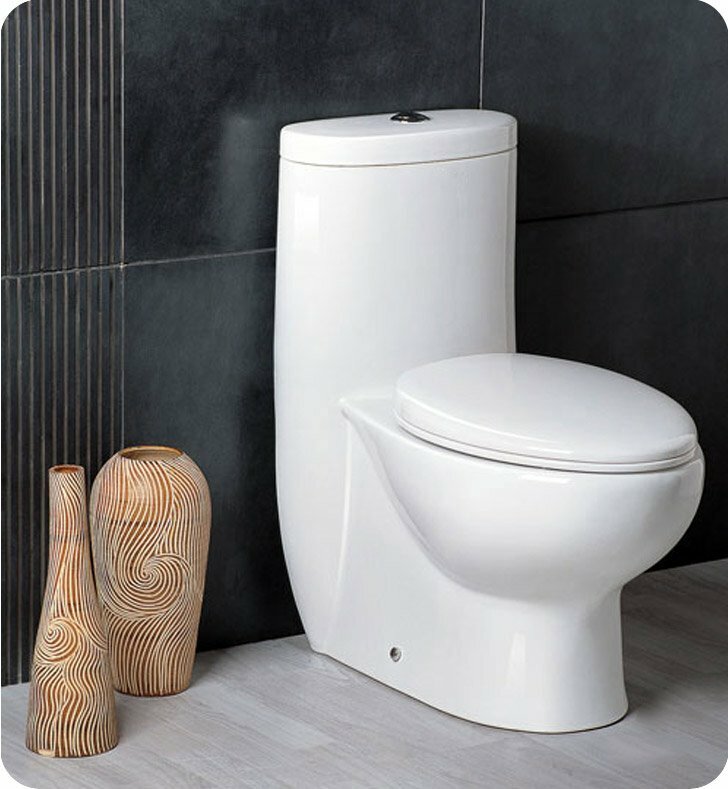 Skirted toilets do not collect hard to remove dust, are easier to clean and present a sleek european look. 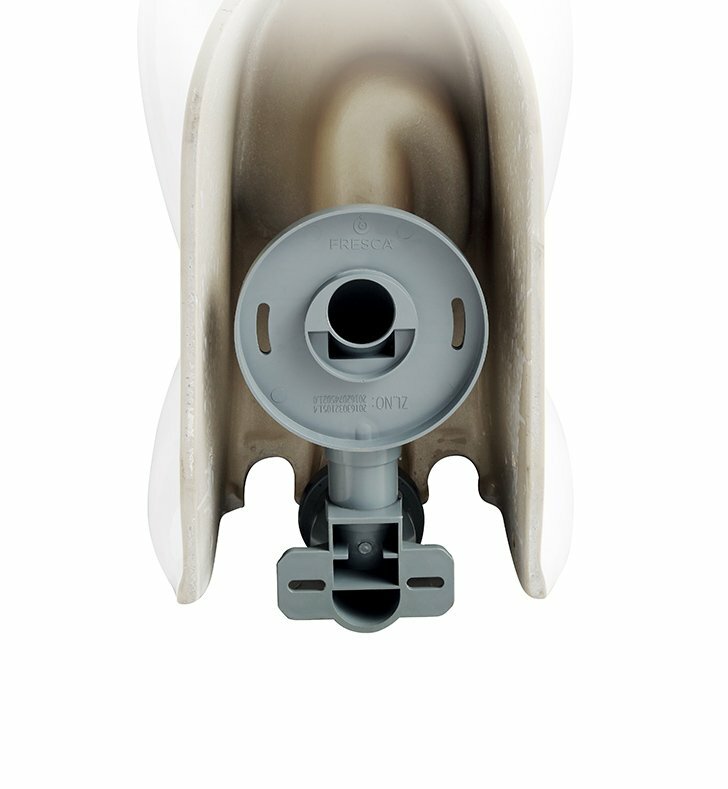 Most advanced flushing system which features a trapway with a diameter of more than 2" complemented by powerful jet siphonic flushing funcion. Not your old chain and flapper which left you with running water or unable to flush when the chain snapped. Efficient yet powerful 3" flushing valve: Number of issues usually associated with older chain/flapper based systems are substantially reduced. Wide water surface: Larger surface allows for easier cleaning and reduces odors. 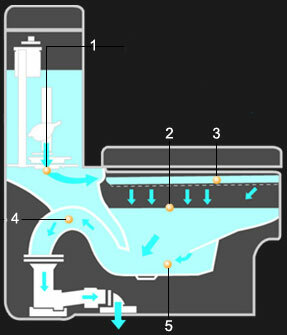 Balanced water distribution: Designed to evenly distribute water across entire bowl and provide powerful flushing velocity. 2" Trap: Not only is the trap larger then normal, its also fully glazed form the inside. 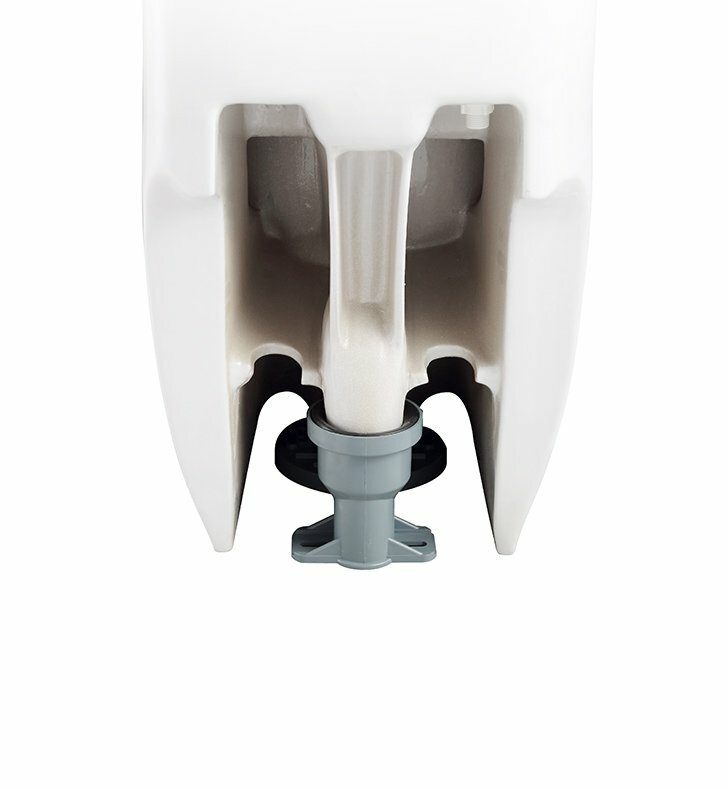 This provides a Non-stick and blockage free environment making sure that waste flows smoothly from the first flush and nothing sticks to the walls of the trap. To prevent particles form adhering to the ceramic surface, easy clean galzing is applied. Making use of nanometer technology a super-smooth and extra-hard surface is created. Compared to conventional glazing there is an ionzed barrier to prevent particles from adhering to ceramic. In fact a catalyzed ion barrier repels particles away so the surface stay cleaner when in use and is very easy to clean after. The trap channels in our toilets are also perfectly glazed inside just like outside. This keeps the inside of the toilet and the walls particle free. 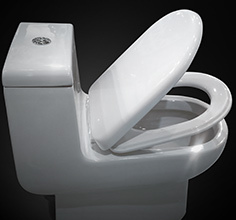 One of the most loved features of our toilets is a seat and the lid. Our toilet seats are soft close so you will never hear a slam that can also damage the ceramic bowl. 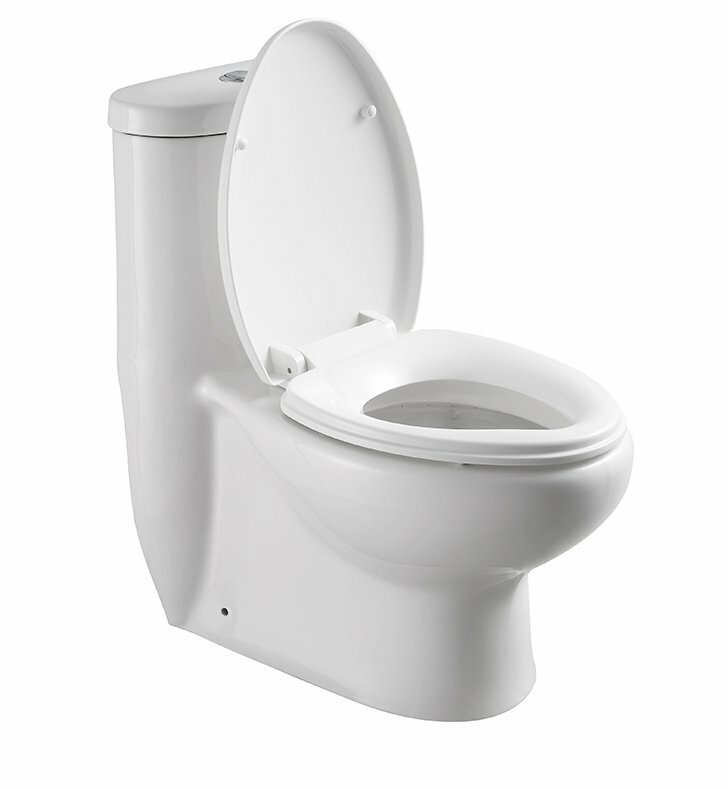 You can drop the toilet seat and it will slowly close without making noise.Close function is tested 50,000 times. Dimensions: L 28 1/2" x W 15 1/2" x H 30 1/4"
Pros: Easy to clean because of sleek style, very contemporary looking,just plain nice. Cons: Harder to install than regular toilets . Pros: Great styling, easy to clean. Also water efficient. Sleek, sophisticated, water saving, and easy to clean. This throne is sleek and sharp and water efficient. I'm doing my 1/2bath next but will not be using this same product since it's too elongated and my space is minimal. Any suggestions?